Internet retailers appear to be weathering the recession better than their bricks-and-mortar counterparts, with those polled by TechCentral reporting strong growth over last year’s festive season. Arthur Goldstuck, MD of research firm World Wide Worx, says he expects local e-retailers to benefit from a 20% to 25% increase in online retail sales in SA in 2009 compared with 2008. Goldstuck estimates that in 2009, South Africans will spend R1,6bn online – and that excludes the purchase of airline tickets and accommodation. It also excludes sales to international online retailers like Amazon.com. He says online retailers are bucking the economic recession that has resulted in one of the toughest years in decades for traditional retailers. “Aside from the fact that people who shop online tend to be in the highest socioeconomic bracket, and therefore slightly less affected by the recession, you also have the phenomenon of people gradually moving their existing spending from the physical world to the virtual,” Goldstuck says. It’s a shift that Kalahari.net, part of the Naspers group, is seeing, says CEO Gary Hadfield. In anticipation of strong December sales, Kalahari has increased its product range significantly. “Products topping customer wish lists this festive season include Wii, Xbox, PlayStation 3, cameras, camcorder, notebook and netbooks, games, toys, new-release DVDs and music, and the latest book releases in fiction, biographies and lifestyle,” he says. Govender believes the strong sales performance is due to the fact that consumers are becoming more comfortable with shopping online. Many of the big online retail brands in SA have also been around for years, and people have developed a degree of trust in them, he says. Wantitall.co.za, which bulk imports goods, mainly from Amazon.com in the US, says its sales are up three-fold over last year. 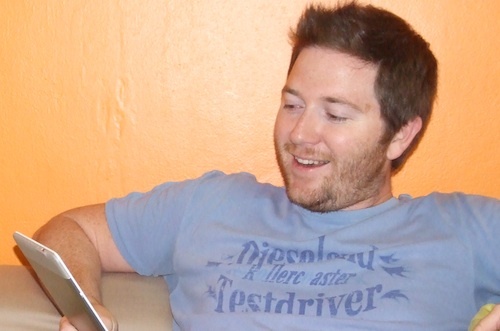 The Amazon Kindle e-book reader is this season’s hottest seller, says Wantitall founder Justin Drennan, pictured. The next most popular product among Wantitall shoppers is the Nintendo DS handheld gaming console. Goldstuck says electronics has been a big area of growth for online retailers in recent years and he expects this to continue.